This paper looks to share perspective on the changing UK landscape and to better understand the challenges, and opportunities, facing UK organisations relative to global trends. 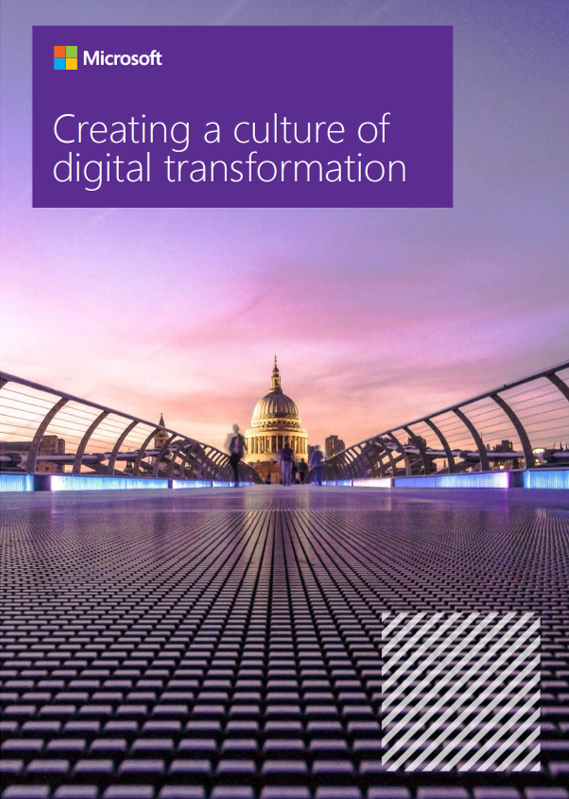 Fifty-three per cent of UK business and IT leaders surveyed for this report say their industries will face significant digital disruption within the next two years, yet 47% have no formal digital transformation strategy in place, with many struggling to capitalise on their technology investments to improve business effectiveness. Digital transformation is not a technology deployment or an IT exercise, it’s a people exercise. Business leaders must therefore embrace cultural transformation from the top and explore the behavioural shifts that are needed to bring about lasting change. Above all else, this requires belief and commitment. Changing human behaviour is not always easy and there’s a level of discomfort that comes with stepping into the unknown. Some people thrive on it, some people can learn it, and some people feel paralysed by it, so this must be handled sensitively. In this report, there are pragmatic and tangible steps that every company can take to help both business leaders and employees on their way.